COLOMBE-AUBRYSIENNE - ENTENTE DU HAINAUT - ETAMPES DU 20 MAI 2018...... ET NON, NANTEUIL!!!! 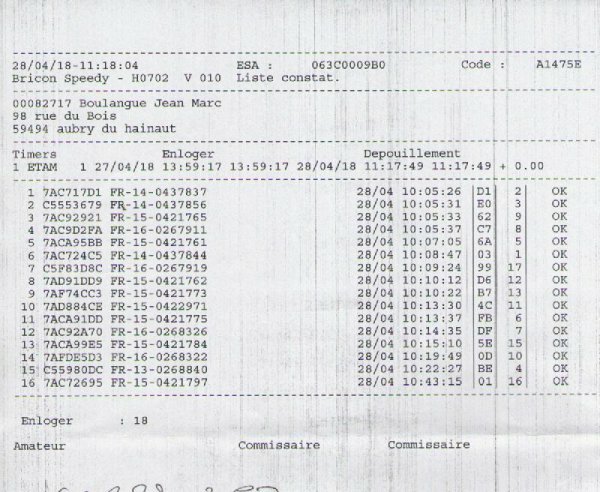 SOIT DISANT PAS ASSEZ DE PANIERS, IL Y AVAIT QUAND MÊME 1616 PIGEONS !!!!!! LA TRES BONNE DÉCISION D'AVOIR ATTENDU......... 146KM POUR MOI . 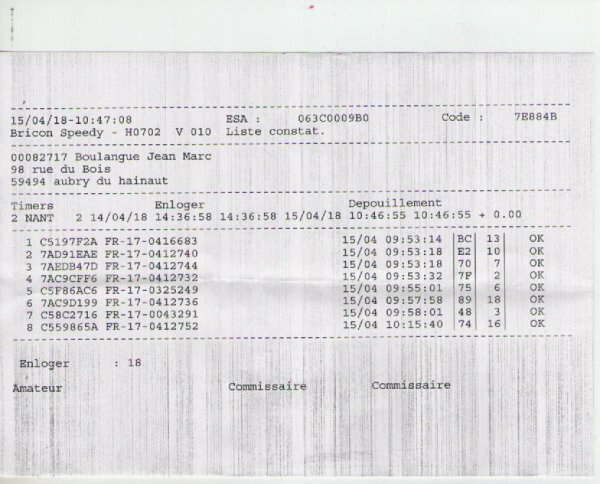 MON 2 éme INSCRIT, N' A PAS PASSE A L' ÉLECTRO, JE NE M'EN SUIS APERÇU QU'EN COMPTANT LES MANQUANT................ IL ÉTAIT LA A 57 !!!!!!!!!!!!! 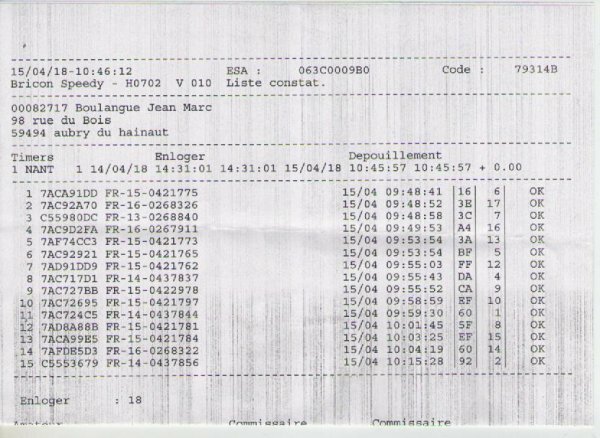 M' EN MANQUE ENCORE 3, DONT UN QUI FAIT PRIX A GIEN LE 6 MAI !!!!! TOUT RENTRE CE MATIN !! ME MANQUE 1 DE 2ANS AVEC UN 3 / 3 !!!!!!!!!!!!!!!!!!!! 3PIGEONS 10H03, UN VOISIN QUI BRICOLE ET L'AUTRE QUI JOUE AU BALLON !!!!!!!!!!!!!!!!!!!!!!!!!!!!!!!! les 1an ne sont pas partis. UN LÂCHER DES PLUS RAPIDE......7H45 !! et sans aucune info de la ligne de vole!!!!!!!!!!!!! 3 DE PERDUS EN 2 CONCOURS A CE TRAIN LA, VA PLUS EN RESTER !!!! ET SI LE TEMPS ANNONCÉ POUR DIMANCHE PERSISTE, TOUT RESTERA AU COLOMBIER!! 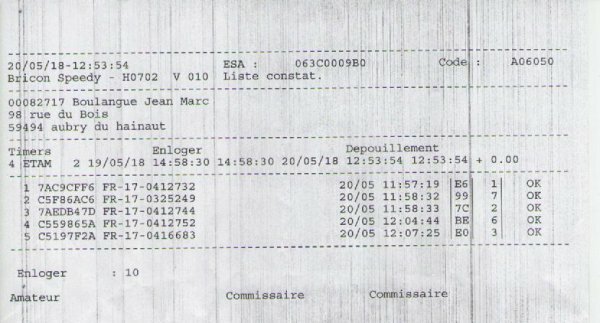 UN NON SENS POUR MOI, LE CONVOYEUR ET AUSSI LE RESPONSABLE DES LÂCHERS !!!!!!!! 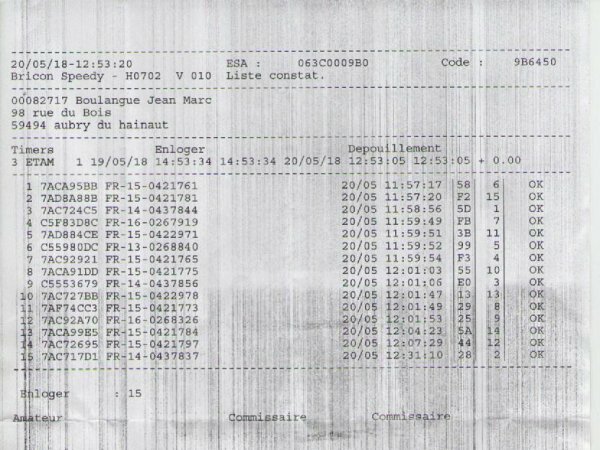 POUR CE PREMIER CONCOURS L'ENSEMBLE DU PIGEONNIER AVAIT ÉTÉ ENLOGÉ. A 14H MANQUE 1 VIEUX ET 6 1AN !!!!!!!!! A 17H MANQUE 3 1AN. VIEUX : SOCIÉTÉ : 13A - 154Pigs. ENTENTE 92 A - 1296Pigs.